Happy Friday! I'm on the Bowdabra Blog today for the third Friday in a row showcasing my lovely Fall Harvest Wreath. My mother in-law graciously gave use this wreath a few years ago. 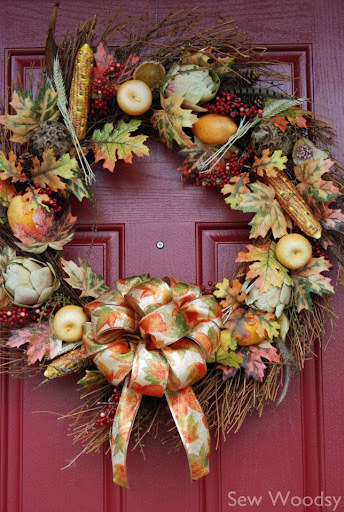 She always stored the wreath in a box each year until the Fall months where she hung it on her door. We keep the same tradition going, and to be honest it still looks new! I've always felt though that it needed a little extra pizzaz. After adding the bow I'm in love with my wreath once again! Honestly, isn't this like the most perfect bow you've ever seen? I must say so myself. That's why I love the Bowdabra. It's super easy to use and anyone can make amazing bows. Trust me I would never be able to make a bow this pretty (or easily) if I didn't own a Bowdabra. Has everyone else started decorating or crafting for fall? That's a gorgeous wreath - AND BOW!! Love the bowdabra and I'm not crafty at all, despite my desire to be but my bowdabra makes me look like a pro!! What a beautiful wreath! The bow is just perfect with it! Fabulous job! I think I will take that for my Front Door!!! That is just Stunning!! All of the elements are arranged so uniquely! The Bow is gorgeous too!! 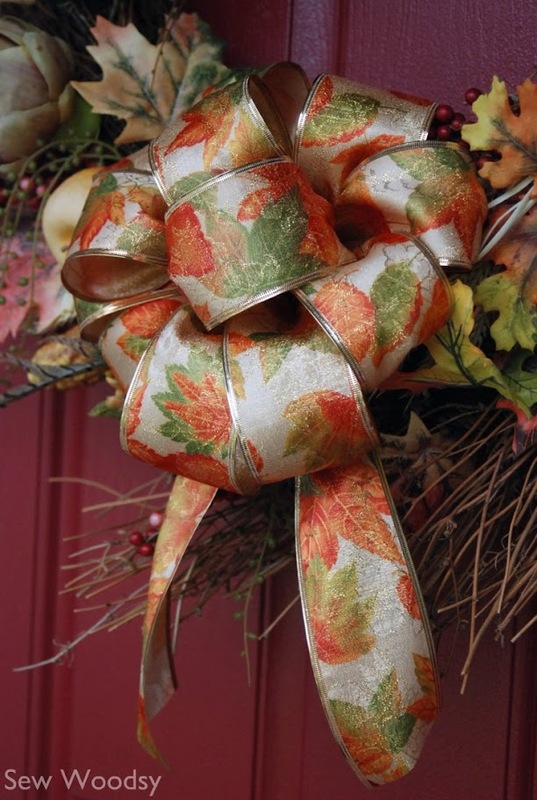 that wreath is lots of fall-yumminess! And I'll have to look into this bowdabra thingy!